Traditional medicines are a critical component of healthcare in many low- and middle-income countries (LMICs). In sub-Saharan Africa, for example, traditional medicines, especially herbal-based substances, are ubiquitous with over 70% of many populations regularly using them. They are used to treat many ailments and conditions, including chronic diseases such as diabetes, hypertension, and CKD, and their use among individuals with CKD and at risk for CKD is very high. This poses several challenges because these individuals may be especially vulnerable to adverse effects from them, including kidney injuries. Numerous traditional medicines have been associated with acute and chronic kidney disease in settings that span all continents. For example, in Tanzania we found that people with CKD seek healthcare advice from many sources other than biomedical practitioners, and that the traditional medicines commonly used for the local treatment of kidney disease have a wide range of potent effects (Stanifer et al). Some of them are even nephrotoxic such as Aloe Vera which is commonly boiled and ingested to treat dyspepsia and can cause both ATN and AIN. We also found that chronic diseases are the second most common reason for using traditional medicines, which highlights how the roles of traditional medicines and traditional practices extend far beyond symptomatic ailments or stigmatized conditions such as epilepsy, mental illness, and HIV. 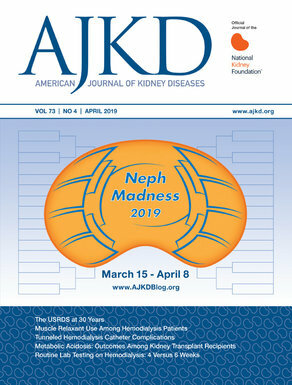 In addition to traditional medicines, unregulated biomedicines, OTC analgesics, and counterfeit drugs are also important causes of increased morbidity among individuals with CKD as well as potentially important causes of CKD and AKI in LMICs across the globe. The sale of counterfeit drugs is a $30 billion global economy, and in several LMICs, upwards of 60% of the drug market includes counterfeit drugs. Addressing these issues while adopting practices that are sensitive to traditional medicine preferences among patients will be critical in responding to the growing burden of kidney disease in LMICs. John W. Stanifer, MD, MSc is a Fellow in the Division of Nephrology, Department of Medicine at Duke University and a Research Fellow at the Duke Clinical Research Institute. He completed his residency in Internal Medicine and Global Health at Duke University and has a Masters of Global Health from Duke University. Dr. Stanifer’s research and clinical interests include CKD epidemiology in low-income settings both globally and locally. He has conducted research studies and practiced in sub-Saharan Africa, and now he is studying chronic kidney disease and health disparities in rural North Carolina. Muy interesante su comentario sobre medicinas tradicionales, en mi pais Nicaragua tambièn existe esa costumbre:Noni, Una de gato, cola de caballo, cáscara sagrada. El Aloe, herba life, etc. lLos enfermos llegan a nuestros hospitales: Deshidratados, con trastornos HE, IRA y lo lamentable con ERC agravada.